Medical school may be challenging, but in my opinion, there has never been a better time to be a medical student. We are incredibly lucky to have access to so many great resources to help us study in a more enjoyable and efficient manner, instead of having to rely solely on reading textbooks or sitting through long lectures. However, with so many resources available to us, it can be difficult to know when and how to use them all effectively. While this admittedly seems like quite the “first world problem”, it can definitely feel overwhelming at times. Fortunately, Osmosis offers a very elegant solution to this problem with their Study Schedule tool. How does the Osmosis study schedule work? It takes just a few moments to enter the dates of your class exams and USMLE® Step 1 (or COMLEX-USA® Level 1) exams, and to select which popular resources you like use before a detailed schedule is instantly created for you. The schedule tells you exactly what you need to do each day to stay on track for both class exams and boards review, and gives you the peace of mind that if you stick with the schedule you will have covered all the material you need to do well on both your class exams and board exams alike. For example, the last block I completed before flying home for the holidays was the respiratory system. I had set up the schedule at the beginning of the semester, so on the first day of the block back in mid-November, everything was already laid out for me. Each day I would read 1-2 pages of First Aid, watch the related videos from Osmosis, Pathoma and Sketchy that correlated to the topics in First Aid, and then complete the flashcards and quiz questions provided by Osmosis at the end. I stuck with this every day, and by the end of the block I had completed all of the relevant material from those resources. The fact that Osmosis is able to put everything in once place for you is the ultimate convenience, and truthfully makes studying less stressful. Why did I decide to use Osmosis? One of the biggest struggles myself and many other medical students face is trying to balance studying for in class exams with studying for board exams which are months away. This can be especially difficult because many of us don’t spend much time in class covering topics like Biostatistics, even though they are crucial to know for boards. Osmosis’s Study Schedule solves this problem as well by allowing you to create multiple study schedules. I have one that corresponds to my class schedule, and another covering topics that I know I won’t be covering in class that I need to learn on my own time. This only adds another 20-30 minutes of material to review per day, but again gives me the comfort of knowing that I will be very well prepared when it comes time to take my board exams in May. Try Osmosis free for two weeks and create your own customized study plan for your classes and the USMLE® Step 1 or COMLEX-USA® Level 1. Having access to so many great resources is a wonderful thing, but one of the best pieces of advice I have received as a medical student was to pick a few that work well for you and stick with them as opposed to trying to use all of them. 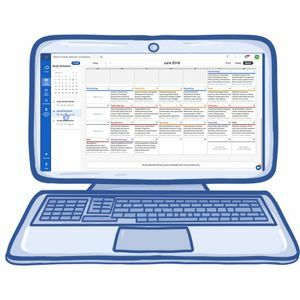 Osmosis’s Study Schedule tool helps me accomplish exactly that, and by organizing everything into one convenient location makes it easier than ever to stay on top of everything and study as efficiently and effectively as possible. Medical school has been quite the challenge so far, but this tool makes my life just a little bit easier and I truly value that. As I head into next semester, I’ll be setting up my study schedule to prepare for the USMLE® Step 1. Best of luck in your studies! Giuliano is a 2nd year medical student at the University of New England in Biddeford, Maine. When he can find the time to do something other than study, you can find him cooking, playing hockey, or catching up on his favorite cartoons on Netflix. USMLE® is a joint program of the Federation of State Medical Boards (FSMB) and the National Board of Medical Examiners (NBME®). Test names and other trademarks are the property of the respective trademark holders. None of the trademark holders are endorsed by nor affiliated with Osmosis or this website.